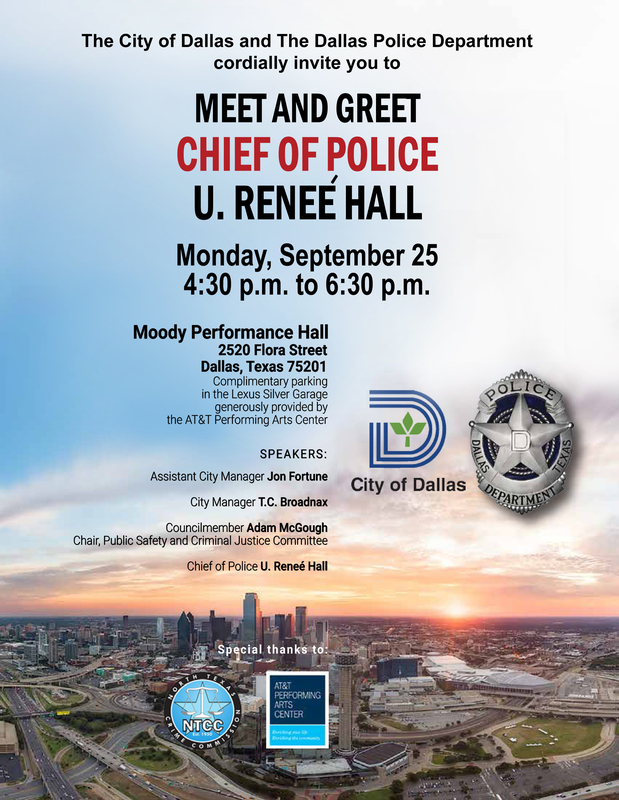 The Dallas Police Department and the City of Dallas invite the public to a meet-and-greet with new Police Chief U. Renee Hall. Chief Hall is the 29th Chief of Police for the City of Dallas. Chief Hall is an accomplished and highly dedicated law enforcement executive with more than 18 years of experience, which includes twelve years spent at the management and executive levels of the organization. The meet and greet will be held at the Moody Performance Hall, located at 2520 Flora Street, On Monday, September 25, 2017, from 4:30 p.m. – 6:30 p.m. Complimentary parking will be provided for attendees at the Lexus Silver Garage, 2539 Ross Avenue. Chief Hall comes to Dallas after a long career with the Detroit Police Department and is the first female chief in the history of the Dallas Police Department.